Should/Will Blacks Vote in the Midterm Elections? 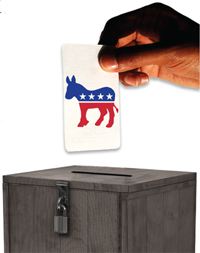 (FinalCall.com) - In the final stretch toward the midterm congressional elections, the Republicans are banking on the energy surrounding the Tea Party to bring in votes, and the Democrats are leaning on the Black vote, but will Blacks turn out on Nov. 2? Will Blacks be rewarded if they vote in big numbers or will Blacks be blamed for a Democratic loss if the numbers are low? Voter turnout is typically low during non-presidential elections, but there is much at stake in the upcoming contests: There are 37 Senate races; all 435 seats are up for grabs in the House and, banking on the Black vote, too, the Republican Party has nominated 14 Blacks to run for House seats. “There are people who believe that only big presidential elections are important, but midterm is very important because it is within the U.S. House of Representatives and the Senate where the big decisions are made.If you voted for Obama in 2008, he needs a Congress to get through the kinds of legislation that he promised to push for,” explained Dr. William Boone, a political science professor at Clark Atlanta University. In addition, he said, voters will elect 37 governors and in some cases, whole state legislatures will be replaced because lawmakers will reach years of service governed by term limits. Since it is time for redistricting—redrawing political boundaries following the Census—and legislators decide where the lines will be drawn, Black voters could have high stakes in whether political representation is enhanced or reduced. 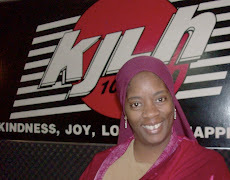 “Those are the game numbers to show that there's really not much difference between Black unemployment and unemployment of other groups, but prior to this recent economic downturn about two years ago, the unemployment rate nationally for Black folks was 35 percent” and the numbers have certainly not decreased, Dr. Anderson told The Final Call. Dr. Anderson said the official 16.3 percent jobless rate refers only to people actively seeking employment or collecting unemployment compensation, but Blacks have a hidden unemployment index. The answer is not for Black leaders to petition government for temporary jobs, but to work to help Blacks create jobs for themselves, he said. But when it comes to the ballot box: “Blacks need to tell politicians, no benefits, no votes,” he added. Dr. Rosie Milligan, a Los Angeles-based author and book publisher, agreed, but said she could not think of any single issue that Blacks are focused on. Rather, she told The Final Call, Blacks really have succumbed to emotionalism, symbolism, and are so excited to have a Black president in the White House that their only idea for the next election is how to keep him there. “It's a shame for people to vote and say ‘we need to hold these people accountable' and I have to ask the question accountable for what?What did they promise you?I have not seen the promise that has been made to Black people through political gain, so while other people tend to vote and go to the table and ask for benefits, Blacks tend to vote only because they feel they need to exercise their right,” Dr. Milligan said. After the average voter fulfilled the dream of seeing a Black person in the White House, there was nothing else in the process for them, she continued. More average people are in jail; more have lost homes; experience wider health care disparity and Blacks top negative statistics, said Dr. Milligan. She believes fewer people will vote in the midterm elections because they feel President Obama can do nothing for them. “You're a Black male in the United States with a political position, but anything that's Black you tend to run from it ... you wouldn't stand up for the Black farmers.You wouldn't stand up for the Black Freedmen (Black members of the Cherokee Nation) and mixed Indians ... so it's time to send a message, not just to Black politicians but all of them, that you're not going to abandon us anymore and with a united front, we will do bloc voting, which might mean opt out. But if they want our votes they'll meet at midnight,” Dr. Milligan said. There have recently been at least five highly publicized meetings, but not what Dr. Milligan had in mind: President Obama completed a four state campaigning trip for Democratic candidates in Virginia, Iowa, New Mexico, and Wisconsin, holding meetings in family homes, and Black leaders, activists, and labor organizations gathered for a mass rally on Oct. 2 in Washington, D.C. According to Greg Akili, Region 1 Field Organizer for the NAACP, the event, “One Nation Working Together March on Washington,” was significant because it gathered people for common interests. The marchers wanted to know how to work together to improve the U.S. and create more jobs, better public education, increase unity, and promote equal justice, Mr. Akili said. “Our common future is that unless we can come together, work together, then we will continue to be divided and there will be people who consistently point to the negatives.The march will impact voter participation in November because we have taken the enthusiasm, energy and vision from the march, and turned it into civic engagement by asking people to return to their communities and neighborhoods and volunteer between now and the election,” Mr. Akili said. Now the push is to make sure resources are targeted at rebuilding the urban centers, which is where many Blacks are, he said. Many, like Dr. Wilmer Leon, III, a Washington, D.C.-based political scientist, believe the only way is to vote. “This country is an electoral democracy and it's how your voice gets heard.It's how decisions are made on distribution of resources and if you don't participate in the process, you start to lose control of the how and start to become victimized by the process,” he said. But what makes it difficult is that President Obama has failed to explicitly address issues that are race-specific to Blacks, which has created some unease among Black leaders, both political and civil rights leaders, according to Dr. Ron Daniels, author and president of the Institute of the Black World 21st Century. Why the president does not address even the issues where he has forged some positive changes is a great mystery, Dr. Daniels continued.For instance, President Obama narrowed crack cocaine sentencing disparity from 100 to 1 to 18 to 1, and his health care legislation is going to impact many Blacks who make up a large proportion of those without health insurance, he said. “There are some urban initiatives coming out that will be helpful but he doesn't even talk about it so we can grab hold to it. ... There is the idea that any time you make a move you will be claimed as advocating on behalf of Black people ... but if you can describe the pathology and problem in racial terms, why can't you describe the solutions in racial terms?If you can say Black people are on street corners because they're disproportionately unemployed, why can't you say we need a program that targets jobs for this problem?” Dr. Daniels asked. Blacks should mobilize for the midterms and march on ballot boxes to get rid of the people who caused the problems in the U.S. economy in the first place, he said. The alternative is far right wing conservatives and Tea Party members like Sarah Palin, Rush Limbaugh, and Glenn Beck, Dr. Daniels argued. According to Dr. David Horne, executive director of the California African American Political and Economic Institute, despite the excitement the Tea Party seems to have generated for midterm elections, the movement is media generated and lacks enough substance to pull off the midterm or any election. “The Tea Party hasn't won anything yet.All they've done is get rid of moderate Republican candidates in primaries, which is only to elect candidates (to run) for office but the Tea Party so far has been almost all hype.For them to fight it out with other Republicans, that helps the Democrats. ... Until they actually win in the polls, they don't even deserve the kind of political respect people have given them,” said Dr. Horne. The fact is the excitement stems from embedded journalists who are paid to put out false information, not news, that President Obama is less popular but in November, as usual, Democrats and Republicans will lose some seats in the House and Senate, nationally and statewide, but when the smoke clears, the Democrats will still be the majority in both, he predicted. “It is as predictable as dirt.While the mainstream and so-called liberal media are showing polls that say only 28 percent of the American public support Democrats, what they fail to show is the other part, that only 10 percent supports the Republicans,” Dr. Horne said. He urged that Blacks participate in the midterm elections, but agreed that simply voting Democratic and for President Obama without making demands would mean a failure for the community.The Democratic Party has already shown it will take Black people for granted as quickly as anybody else, Dr. Horne said. A vote is a starting point, but it is not enough, he added. Cedric Muhammad, a monetary and political economist and author of The Entrepreneurial Secret, served as chief strategist to former Georgia Congresswoman Cynthia McKinney's successful campaign in 2004. 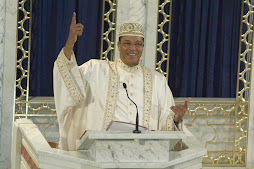 Blacks should not vote out of party loyalty, but in pursuit of their enlightened self-interest, which the Honorable Minister Louis Farrakhan has described over the years, he said. 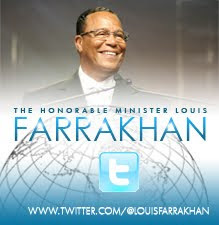 “I believe every Black voter should read his classic 1996 interview, conducted by John F. Kennedy Jr., wherein the Minister (talks about) the path from self-knowledge to political participation, which the Honorable Elijah Muhammad guided the Nation of Islam along, when he (the Honorable Elijah Muhammad) had instilled in us a knowledge of self, a love of self and an enlightened self-interest, then, I believe it would be the proper time for us to enter politics, not to be subservient but to go for that which is in our self-interest because it is necessary for us to become politically powerful in order for us to change the reality of our lives,” Cedric Muhammad said. Right now, cautioned Dr. Boone, Blacks must be careful of the narrative established around the country, which is “even before the elections go down, if Black folks vote don't come out, then the Democrats will lose, so it's the Black folks' fault.That's just flat out a poor narrative.What about your White and Independent supporters who are non-Black? We can as a community have some influence on how some elections go but we should not allow them to extend a loss on us if they do lose,” he said.